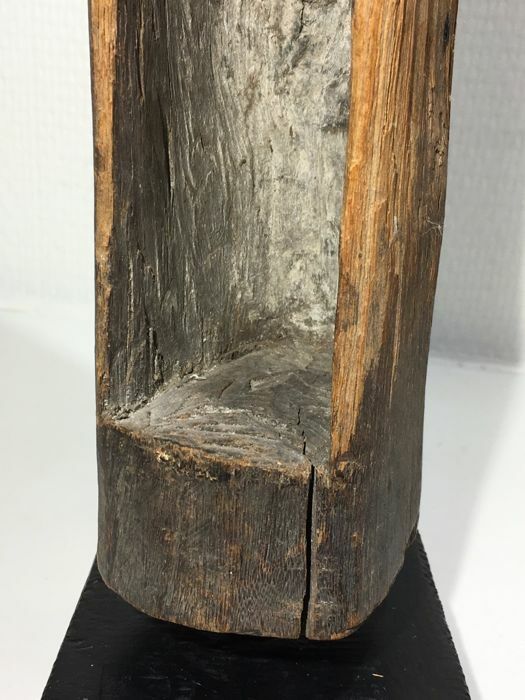 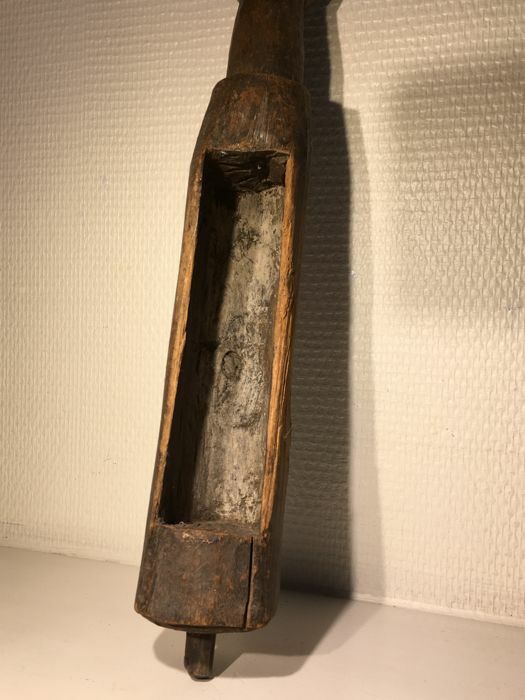 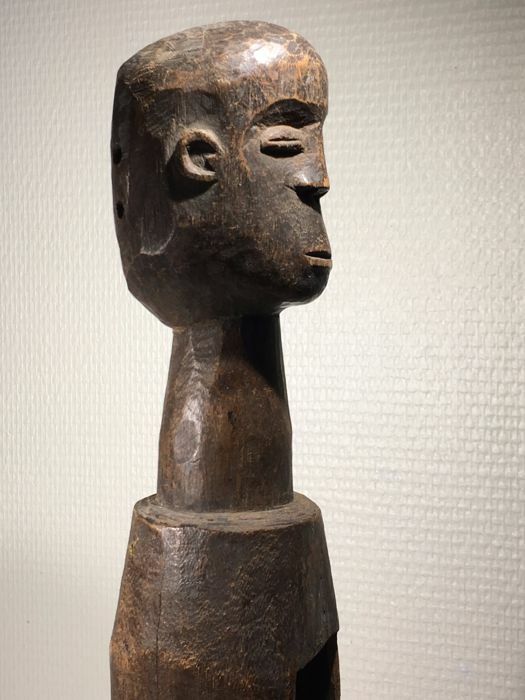 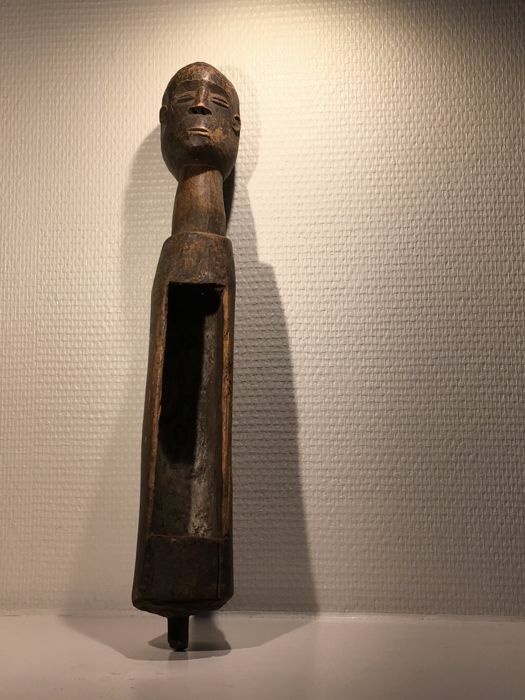 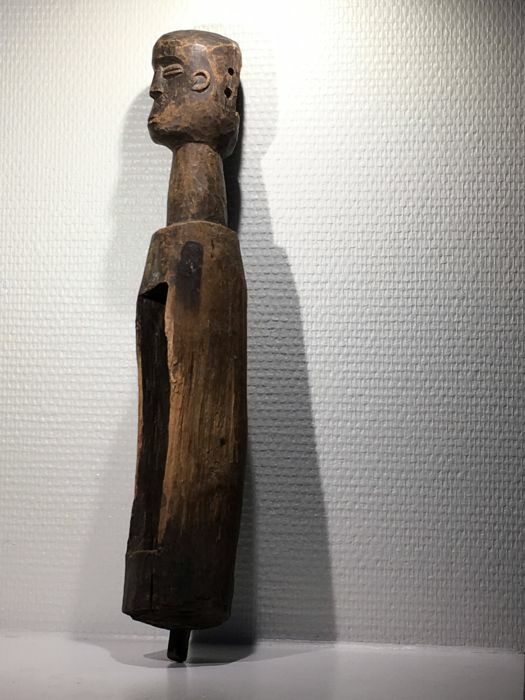 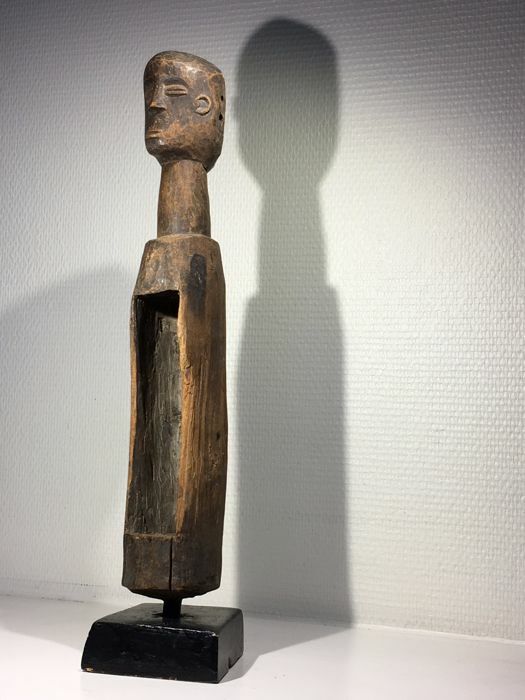 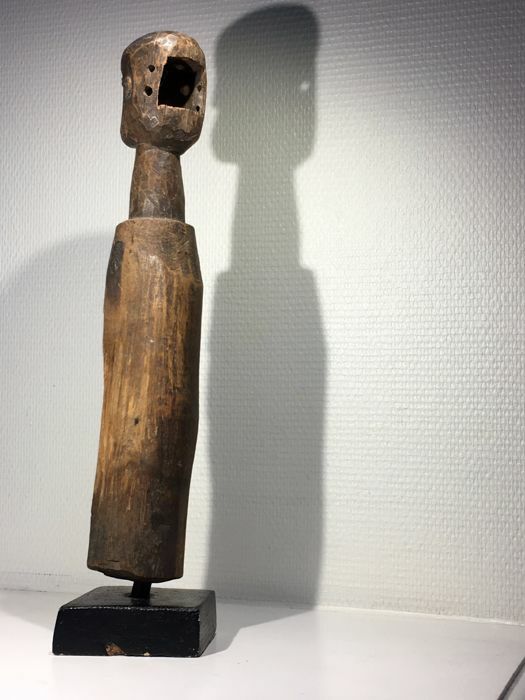 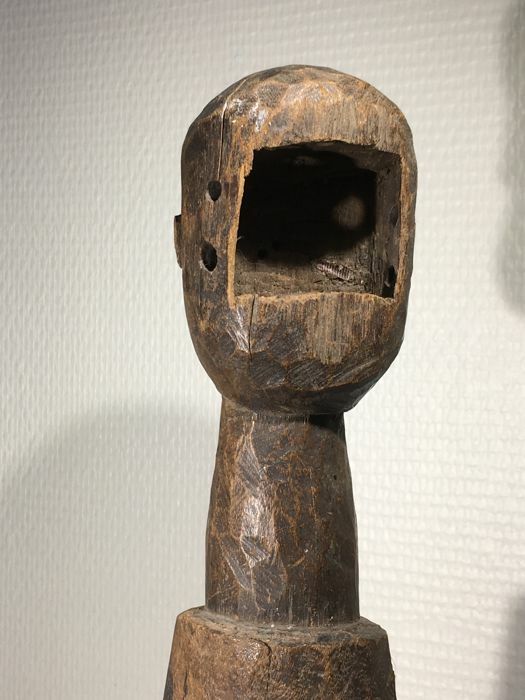 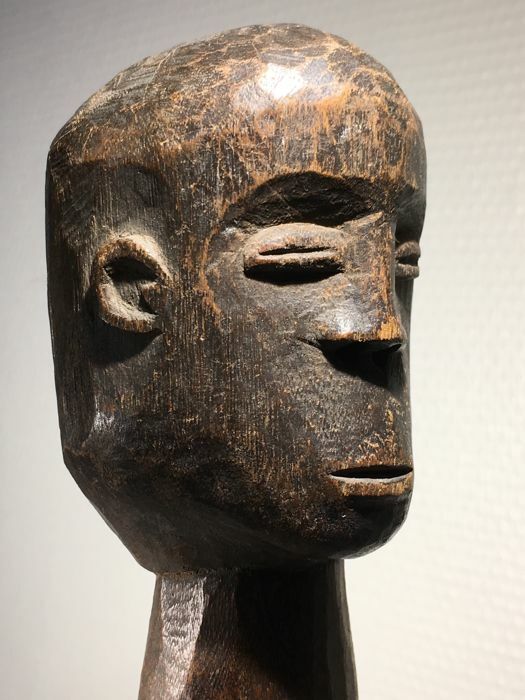 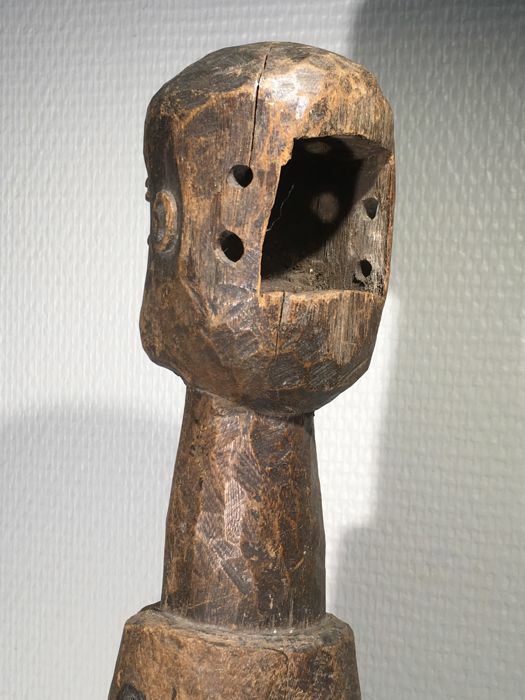 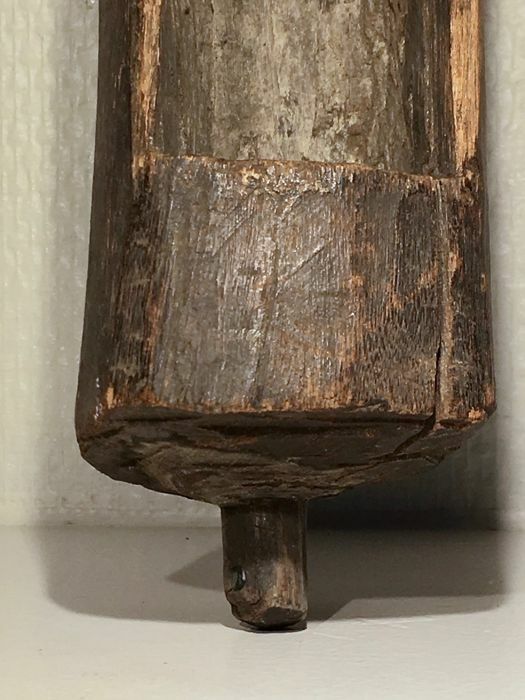 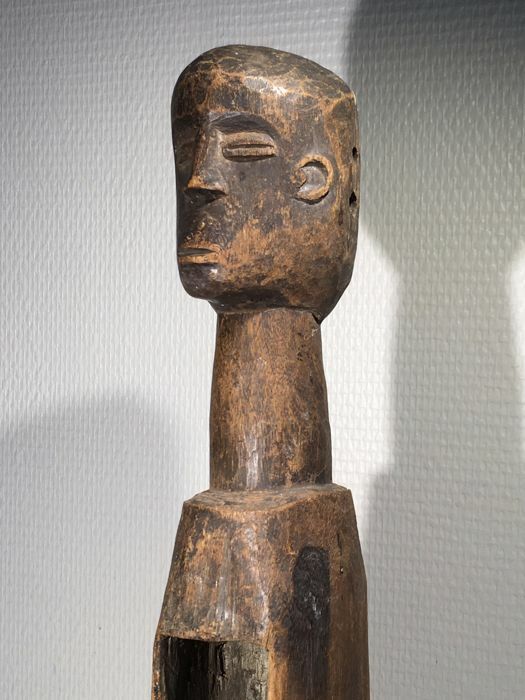 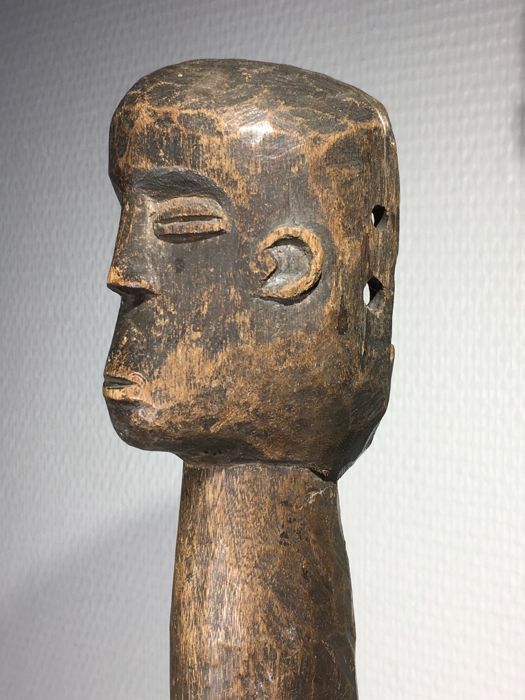 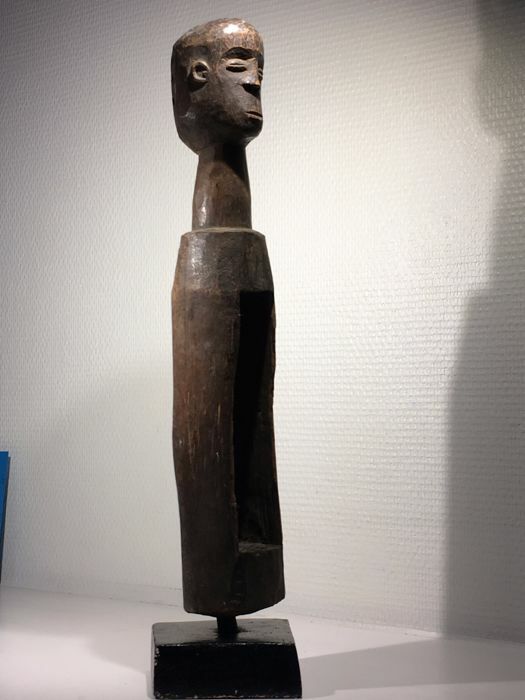 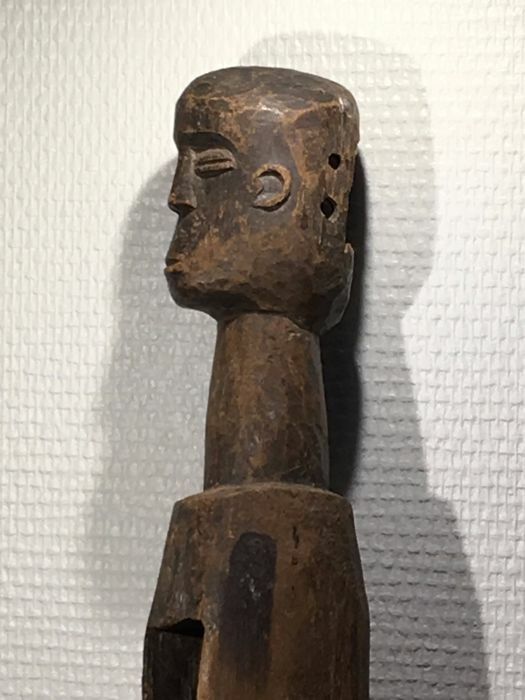 interesting and abstract power figure or slit-gong - presumably from the MBEMBE / Cross-River area / Nigeria - made from hard wood with a good brown patina from long use. 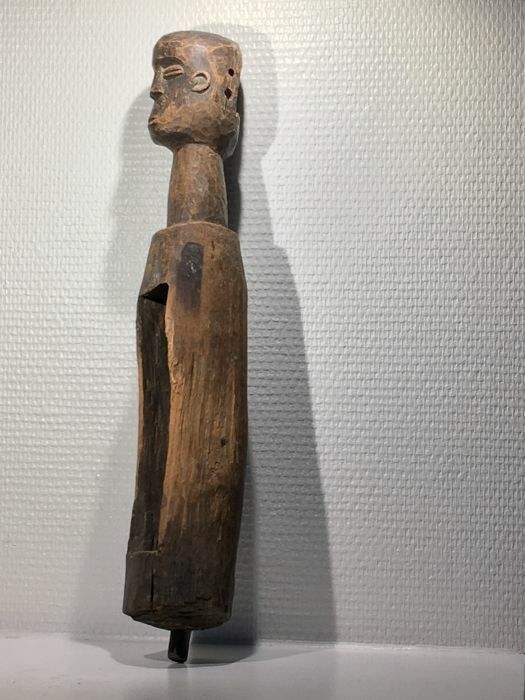 In the cavity of the body of the figure there are some remains of white colored pigments, supposedly kaolin. 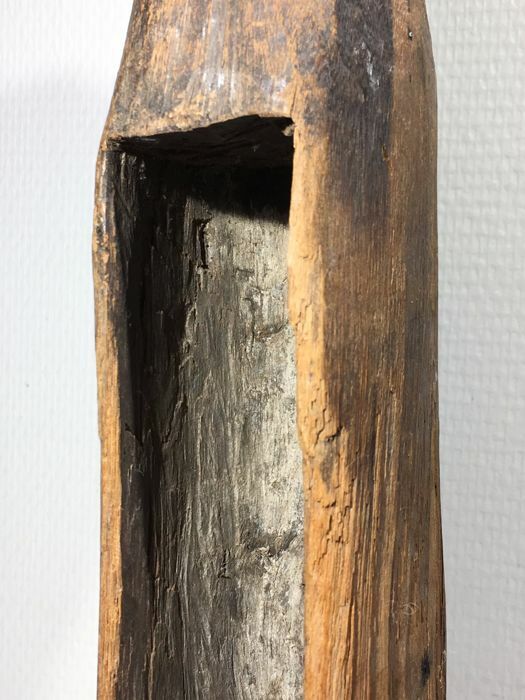 There is another cavity at the back of the head which was obviously once closed - therefore probably the two holes on each side of the square opening. 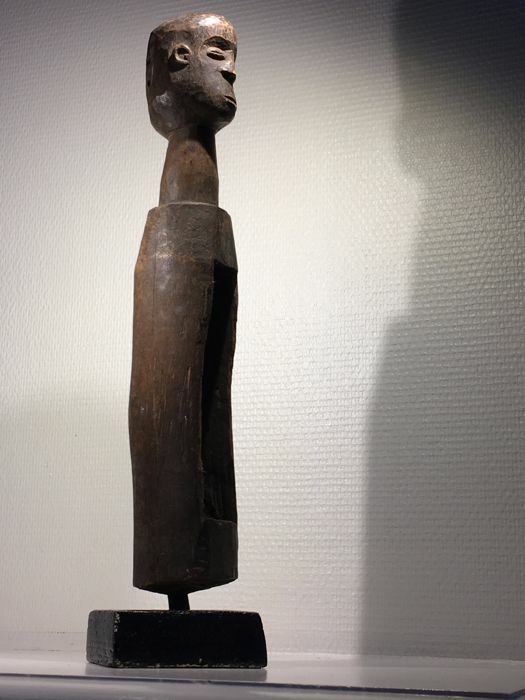 The sculpture comes from a collection of African Art of an elderly lady in Hamburg. 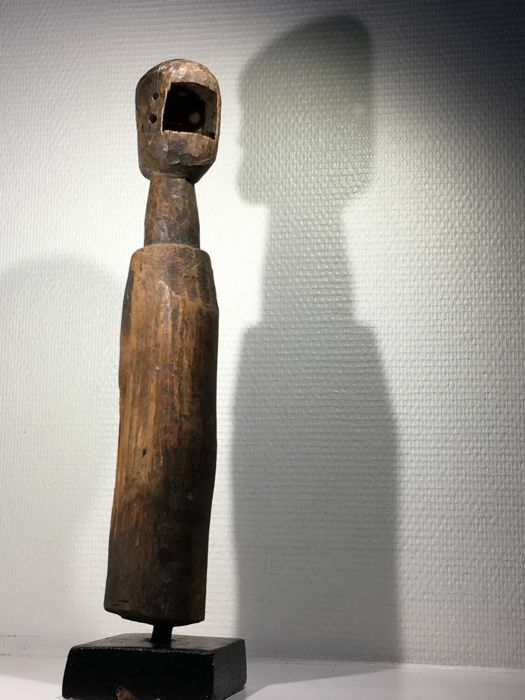 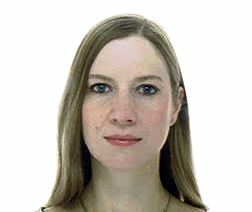 She assembled her collection mainly during the 1970s and 80s and bought the objects from art galleries in Germany as well as from other collectors, e.g. 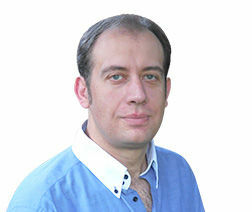 Dr.W.Nerlich.